As part of the new “companion” system, players will be able to take their pets to the battle in PUBG Mobile v0.12.0. 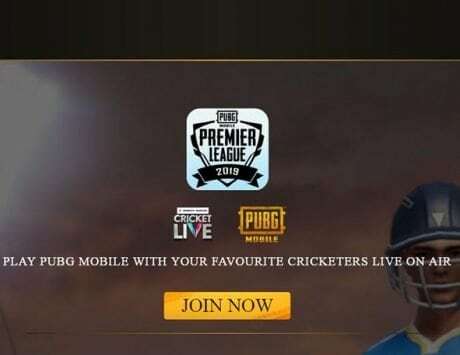 PUBG Corp, the company behind the hit Battle Royale game PUBG and Tencent Games, the company behind PUBG Mobile have just rolled out a new beta version for the smartphone game. The beta version brings a number of improvements to the game while introducing some new features. The update bumps the version of PUBG Mobile to 0.12.0 and gives us a good idea about what we can expect on the stable version of the game in the near future. Before we jump in the official change-log of the new update, one thing to note here is that it is not available for everyone. Interested players need to install the beta version of the game to get access to and test everything available here in the beta update. According to a report by wccftech, PUBG Corp and Tencent Games have just introduced a new companion “pet” system to the game along with a new zombie mode called the “Darkest Night”. In addition to both these new features, the company has also introduced improvements to the “Survive Till Dawn” zombie mode while bringing a new RPG weapon, jungle-style double magazines, liquid nitrogen grenade, new zombies, and more. According to the change-log of the new update, the company has introduced a new MugenSpace feature that replaces the current Event mode. The update has also moved the “Survive Till Dawn” mode to “Expansions” along with the announcement for a number of new modes in the future. This also comes with a new Infinity Mode called “Darkest Night” as mentioned above. As part of this mode, players will have to stay alive for a night while fighting the Zombies and all the teams that are still alive till the morning will win the game. Talking about the “pet”, as part of the new “companion” system, players will be able to take their pets to the battle. If you are thinking that the pets will disturb their strategies then don’t worry as enemies will not be able to see the pets in the battle. Players will be able to gain “Companion EXP” if they decide to take their pets in the battle and then level the pets up to unlock what is known as “Companion emotes”. The new update also makes changes to the current “Survive Till Dawn” mode improving the Stun Grenades while adding Liquid Nitrogen Grenades, RPG-7, and Jungle Style Magazines. The mode will also bring jumping zombies, zombie dogs, zombies that can climb low walls or roofs, flamethrowers with more damage, improved M134, and improvements where Zombies hit with weapons will move slower. The update also brings a number of bug fixes to improve the gameplay. In addition to this, players will also be able to customize the Red Dot, Holo-Sight, 2X and 3X zoom levels with different shapes or colors. Developers claim that more customization changes will come in the Stable version of PUBG Mobile.